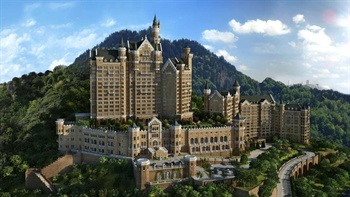 The Castle Hotel, a Luxury Collection Hotel is an ideal choice for travelers who want to take in the sights and sounds of Dalian. For those who require internet access, the property features Free in-room Wi-Fi. Traveling to the hotel is easy with Dalian Railway Station located approximately 8km away and Zhoushuizi International Airport roughly 12km away. Seeing the sights from this hotel is easy with Dalian's attractions including Binhai Road and Yasheng Ocean World close by. In their spare time, guests can explore the hotel's surroundings. Airport pickup can be arranged by the hotel upon request. This Dalian hotel offers free parking on site. If you are looking for a convenient place to stay, our guests have told us that this location is excellent. For guests traveling with families, this hotel is consistently one of the most popular choices.